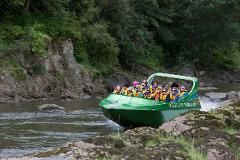 Explore the upper reaches of the Whanganui River, jet boat down the challenging the rock strewn white water rapids and enjoying the breath taking scenery of farmland and bush clad hills & gorges. Relax & grab a coffee at the Lavender Farm. Join us in Taumarunui for a magical journey down the Whanganui River to the aptly named Bridge to Nowhere. 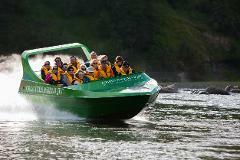 A full day tour through the Whanganui National Park. Learn about the natural and human history of this fascinating river. 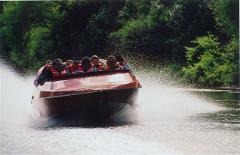 A 1 hour jet boat experience on the upper Whanganui River. Learn about the rich history of this river and why we call this run the 'Hatrick'.